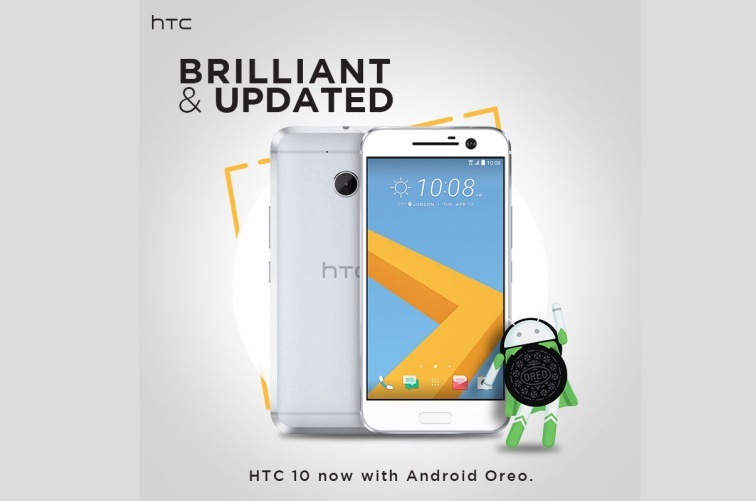 If you’re the owner of an HTC 10 smartphone in India, you’d be ecstatic to know that the company has started seeding the Android 8.0 Oreo update in the country. Yes, at last, the latest version of Android is being made available for the erstwhile HTC flagship device owners as well. HTC announced the release of this update over on its Twitter, revealing all the features it brings in tow for the device. You obviously get all the goodness of Android 8.0 Oreo, such as the picture-in-picture mode, notification dots and channels, access to Autofill API, and all other UI changes. But, HTC has also emphasized on the fact that they’ve enabled support for Reliance’s Jio VoLTE network on the HTC 10 device. This is great news for device owners who’d been looking to use the device with a popular VoLTE telecom operator. 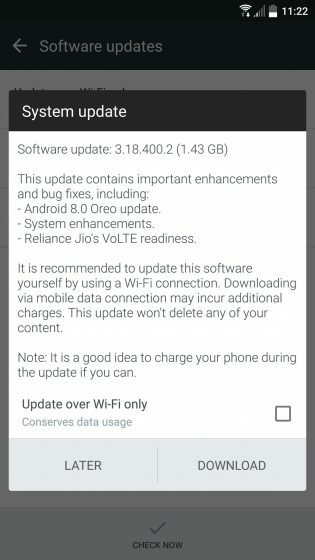 As you can see in the screenshot attached above, the Oreo update for HTC 10 is sized at around 1.43GB and carries the software version number 3.18.400.2. The update is being delivered over-the-air (OTA), so you should’ve definitely received a notification for it. However, if you didn’t then you can simply navigate to Settings > About and check for the latest software updates. The rollout is expected to be completed in phases, so don’t get so impatient as the Android Oreo experience will surely reach you in a few days. So, are you excited to be using all Oreo features on your two-year-old device? Tell us your thoughts in the comments below.